Central Florida caters to the needs of many of today s active adults. The quaint, small towns and thousands of lakes that dot the region are a major draw. Many residents of Central Florida feel that life is more peaceful and laid-back than the busy coastal regions of Florida. The people who have made Central Florida their home seem to relish in the fact that the area has gone largely unnoticed, as they prefer the quietness that the region offers them. The Central Florida area is now home to numerous age-restricted active adult communities like The Villages, On Top of the World, Solivita and Villages of Citrus Hills. 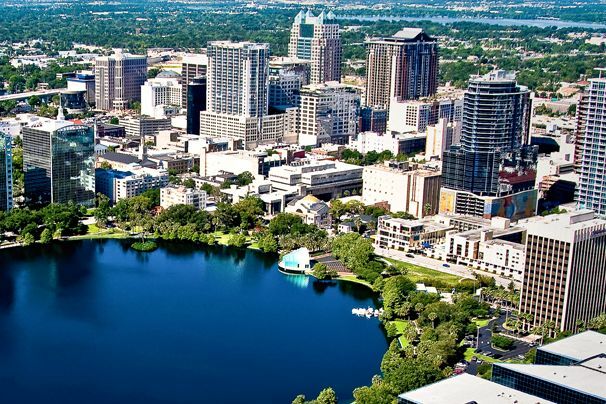 The climate of Central Florida is considerably different than the coastal regions. Without the moderating effects of the warm Gulf waters, temperatures in Central Florida tend to get warmer in the summer and cooler in the winter. Average temperatures in July are in the low 90 s with nightly lows only dipping into the low 70 s. In winter months, average temperatures in the region reach highs in the upper 60 s to low 70 s and nighttime lows that drop into the 40s. The area experiences close to 50 inches of rain per year. Central Florida extends from Ocala in Marion County southward to Lake Okeechobee. It consists of cities such as Leesburg, The Villages, Mount Dora, Orlando, Winter Park, Lakeland, Winter Haven, Lake Wales, Sebring and Lake Placid. The area spans twelve counties, though most of the population resides in the northern half of the region in Marion County, Lake County, Sumter County, Orange County, Osceola County and Polk County. Active adults looking to settle down in Central Florida have many choices to do so in the region. The Central Florida area provides ample recreational opportunities for active adults. Orlando is home to many popular attractions like Walt Disney World Resort, Universal Orlando Resort, and SeaWorld Orlando. Those not interested in these tourist attractions have many other opportunities for recreation such as golfing, biking, fishing and sailing on one of the many lakes in the area. There are also many cultural attractions in the area focused on performing arts and entertainment such as the Orlando Shakespeare Theater and Mount Dora Center for the Arts. The Florida Mall is the largest in Orlando is and one of the largest in the country with over 250 stores in approximately 1.8 million square-feet. Sports fans love the area for the number of professional sports teams and annual events taking place every year. Orlando is home to the Orlando Magic professional basketball team. The Detroit Tigers professional baseball team spends their spring training in Lakeland at Joker Merchant Stadium. The Arnold Palmer Invitational is one of golf s major events and is annually held at the Bay Hill Club & Lodge in Orlando. Active adults have no shortage of opportunities for entertainment and recreation in Central Florida. Those who choose to settle down in one of Central Florida s active adult communities will experience a cost of living slightly lower than the rest of the state. While property taxes are among the highest in the country there are several exemptions to try and lighten the cost. One exemption that may catch the eye of Florida active adults is the Senior Citizen Exemption. This exemption is available in certain counties only and is valued up to $50,000 for residents 65 and older with a gross income below $20,000. Active adults who need regular medical attention will be happy to know there are a number of excellent hospitals and medical centers in the Central Florida Area. Orlando s Regional Medical Center is home to Central Florida s only level 1 trauma center. Many people refer to the Lake Nona area as medical city for its number of hospitals and specialized medical centers including the Burnham Institute for Medical Research, a Veterans Affairs Medical Center, and M.D. Anderson Cancer Research Institute.